Emily Knoe graduated from Polk Community College in 2004, with an Associate of Arts in Business Management. She also attended the University of Central Florida, and is still pursuing her degree in Art Education. 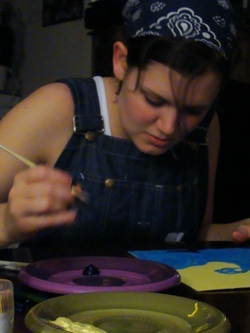 Emily currently instructs painting classes for Knoe Studios.